1997 Bill, TheThe Bill Gavin Donald Episode: "Rent"
2002 Inspector Lynley Mysteries, TheThe Inspector Lynley Mysteries Gowan Ross Episode: "Payment in Blood"
↑ "James McAvoy". Yahoo!. สืบค้นเมื่อ 13 September 2011. ↑ Ivan, Larushka (27 March 2013). "Trance's James McAvoy: I'm too old to play a kid | Metro News". Metro.co.uk. สืบค้นเมื่อ 6 November 2013. ↑ "News". 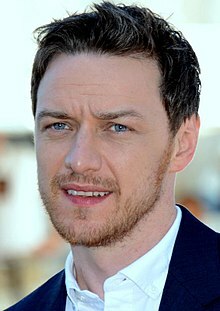 JamesMcAvoy.com. สืบค้นเมื่อ 2007-04-18. ↑ "2011 IGN Award for Best Ensemble Cast". IGN. สืบค้นเมื่อ 13 November 2011. หน้านี้แก้ไขล่าสุดเมื่อวันที่ 4 สิงหาคม 2561 เวลา 21:24 น.